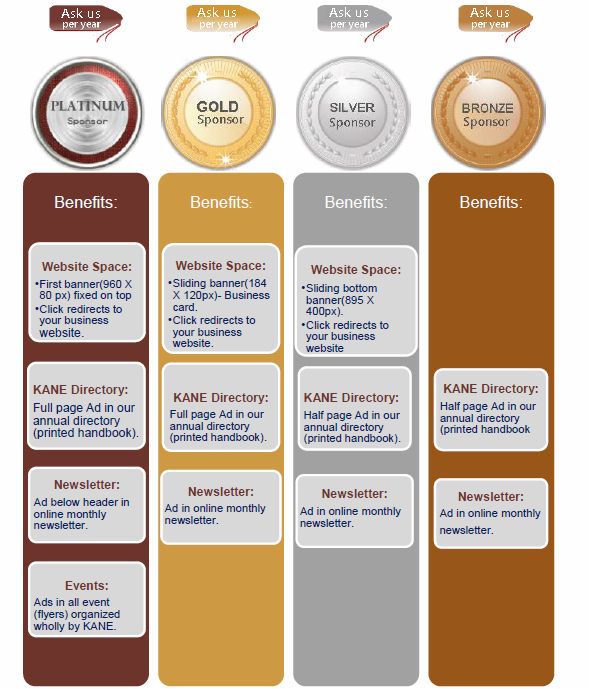 Our website(www.kaneusa.org) has thousands of daily visitors. Our newsletters(E-mails) are delivered to more than 2000 people more than 6 times monthly. We print annual calendar for our community members and distributes those during Christmas Celebrations. We print annual directory for our community members and distributes those during Christmas Celebrations.